Welcome To Liberty Liquidators. Your one stop office furniture warehouse. We will save you hundreds and sometimes thousands of dollars on office cubicles- desks- chairs- conference tables- secretary tables and more! We do installations and deliver. We have miles of inventory and get new daily. Liberty Liquidators is a top furniture reseller for used office chairs, office desks, cubicles, executive furniture, and more. We boast a wide variety of used and new office furniture. We go around to business that are relocating or closing to buy their lightly used furniture. We inspect everything and only purchase high quality furniture that is in good condition. We help your business cut costs when furnishing your office. Don’t waste money on expensive new office chairs, cabinets, files, desks, conference tables, workstations, or any other furnishings. Come to us first. When you aren’t forced to drop money on new office furnishings, you will be free to spend your expenses elsewhere. 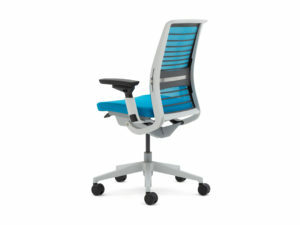 If you are looking for new office furniture, we have that too. We purchase new office furniture direct from the manufacturer to pass our savings on to you. When you cut out the middle man, you save BIG. We deliver & install upon request. Take advantage of our reduced rates and leave the grunt work to us. You will have your new office furniture set up and running in no time. We are convinced your will love your new furniture. When you are satisfied, we are satisfied! Our business relies on our many satisfied customers of the past, who keep returning to us when it is time to refurnish their office. Come see our larger than life warehouse for yourself. 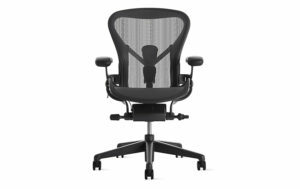 You might be surprised at what office furnishings you might find that you need; things that you hadn’t even thought about. When you are looking for local office liquidators, come to Liberty Liquidators. We are your source for used and new office furniture in the San Jose area. We purchase used office furniture from bankruptcy’s and from companies that relocate or just didn’t make it. We purchase new closeout office furniture direct from the manufacturers. WE HAVE WHAT YOU ARE LOOKING FOR! We provide the highest quality office furniture at a fraction of the cost of our competitors. We Pass the savings on and make our money through volume. It works for all of us! Welcome aboard!